Site in English, Webpage in English. We have finished our site for Spanish courses in English. Our School of Spanish in Madrid has many Spanish courses, you can read the information in English and look for all the details: times, periods, prices, teachers, levels….You can learn Spanish in Spain with one of our great Spanish courses. You may experience some minor issues surfing our site but all will be corrected in a very short time. 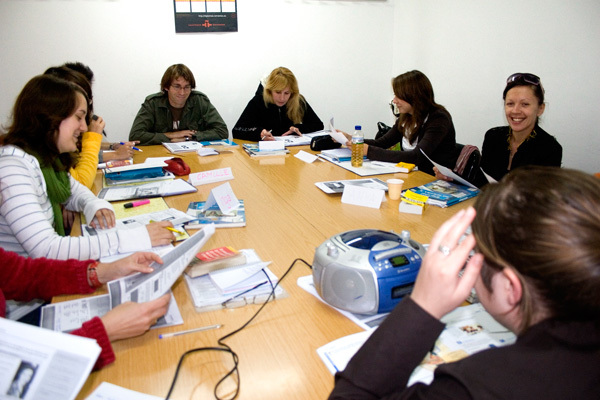 In Paraninfo Spanish Academy the course levels correspond to the Common European Framework of Reference for Languages (CEFR) whose aim is to provide a common base for the drawing up of languages programs, curriculum guidance, exams, manuals and materials for European teaching. Learning Spanish in Madrid. Paraninfo School.